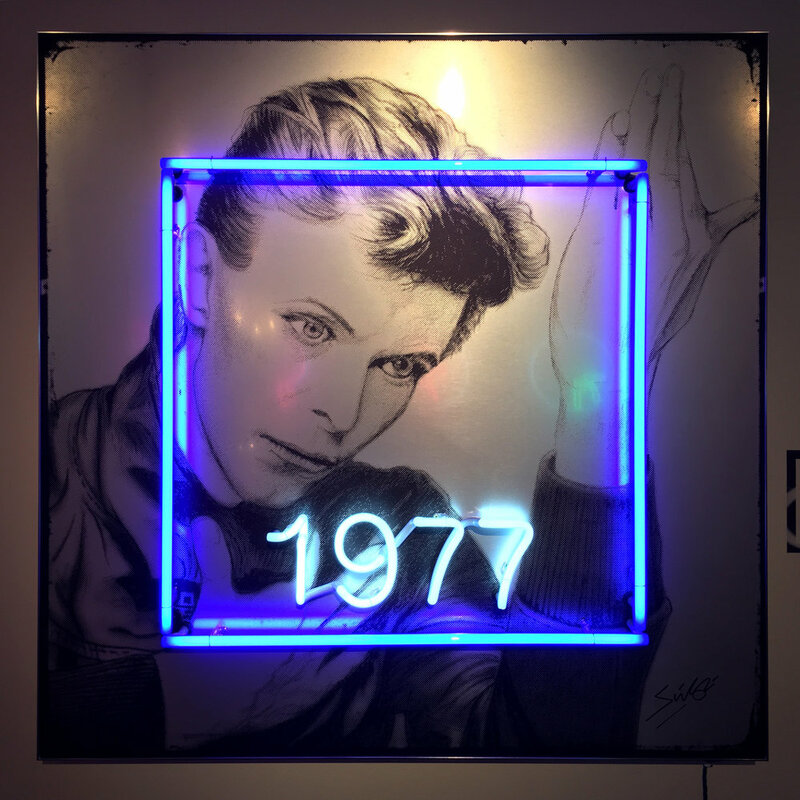 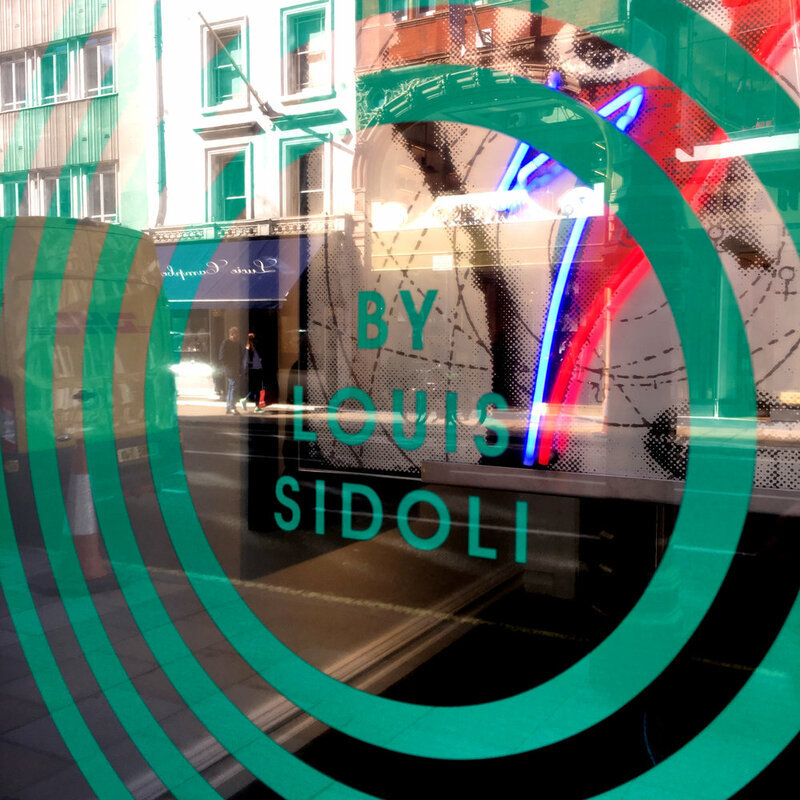 Louis Sidoli Neon Artist: "David Bowie Golden Years - NEON exhibition"
This solo exhibition of neon art was a tribute to the music legends "Golden Years" 1970-1980, portraying him at the height of his artistic glory. 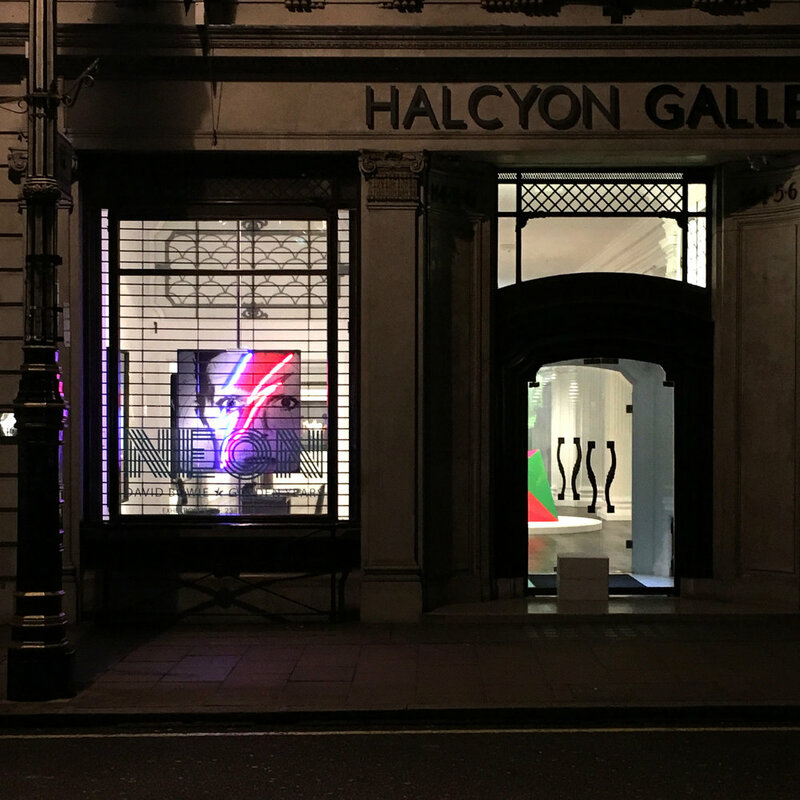 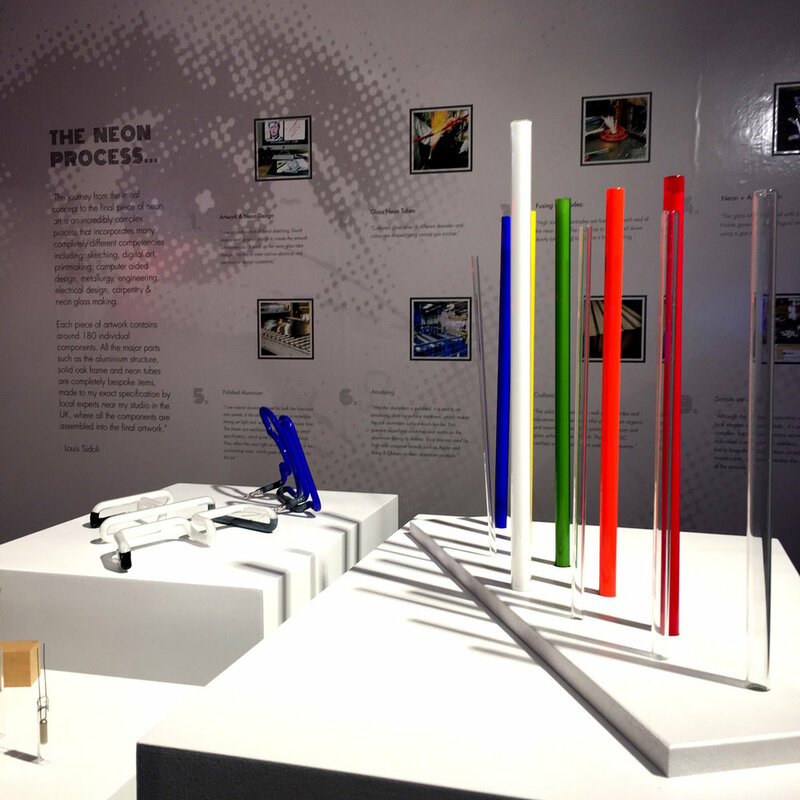 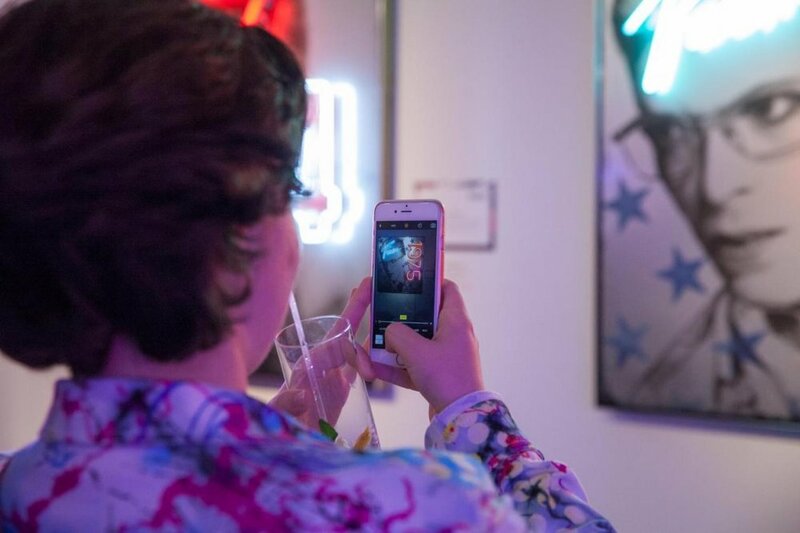 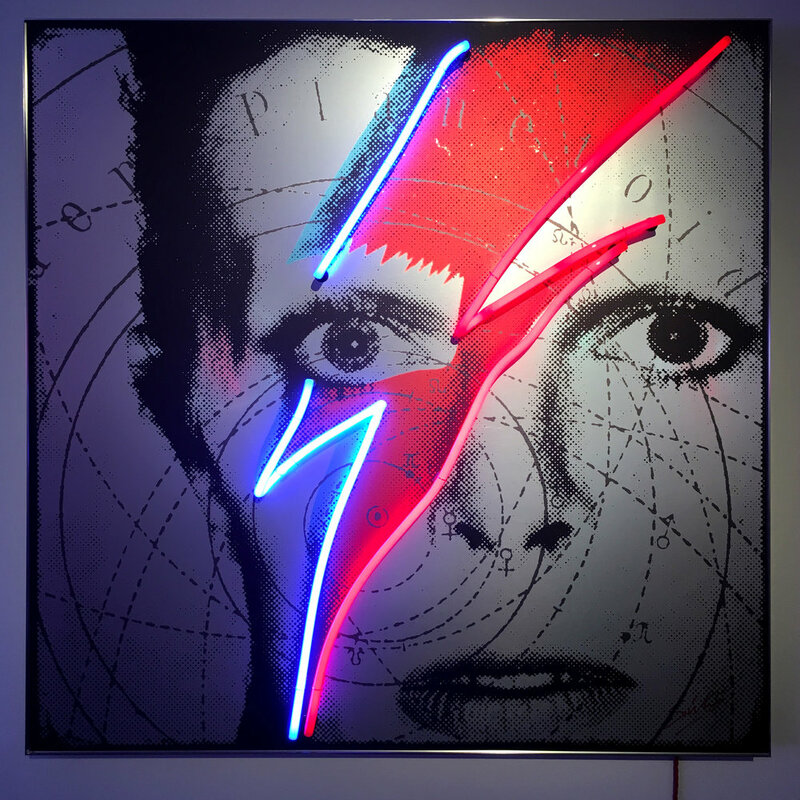 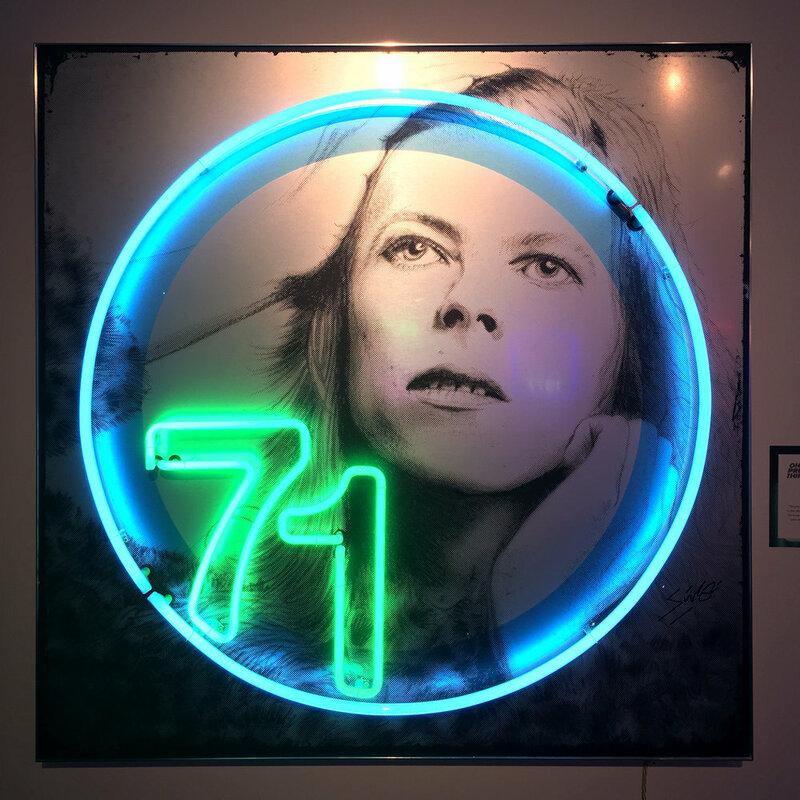 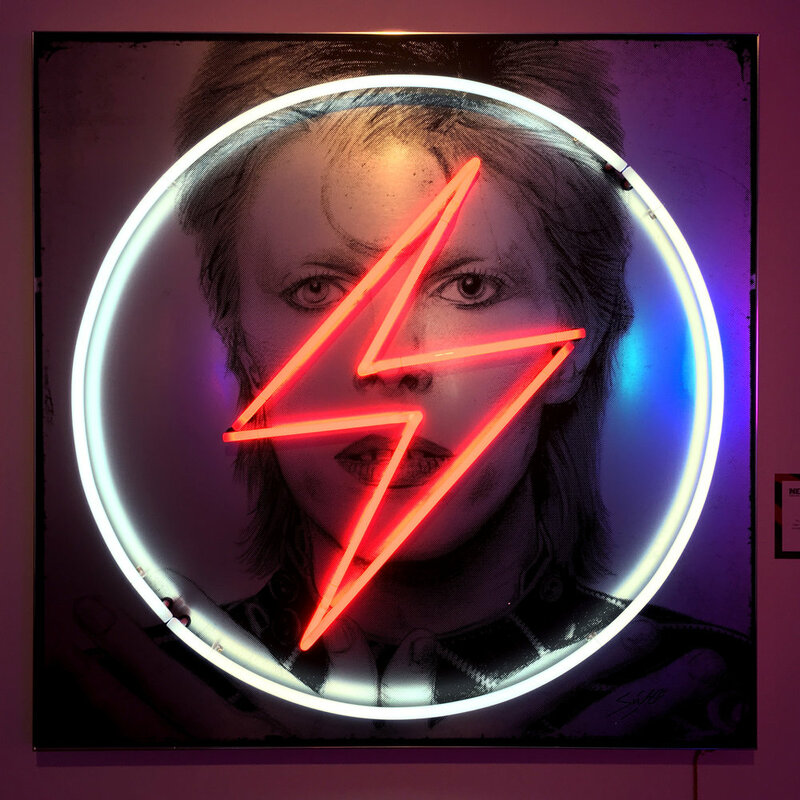 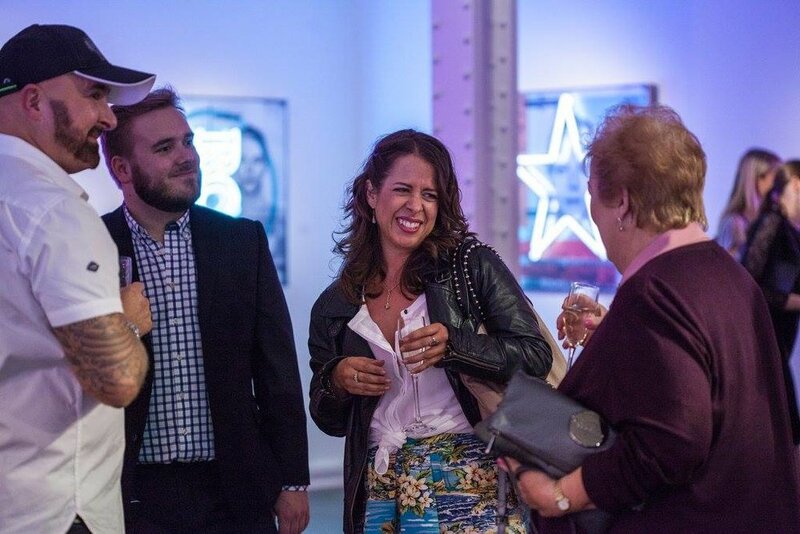 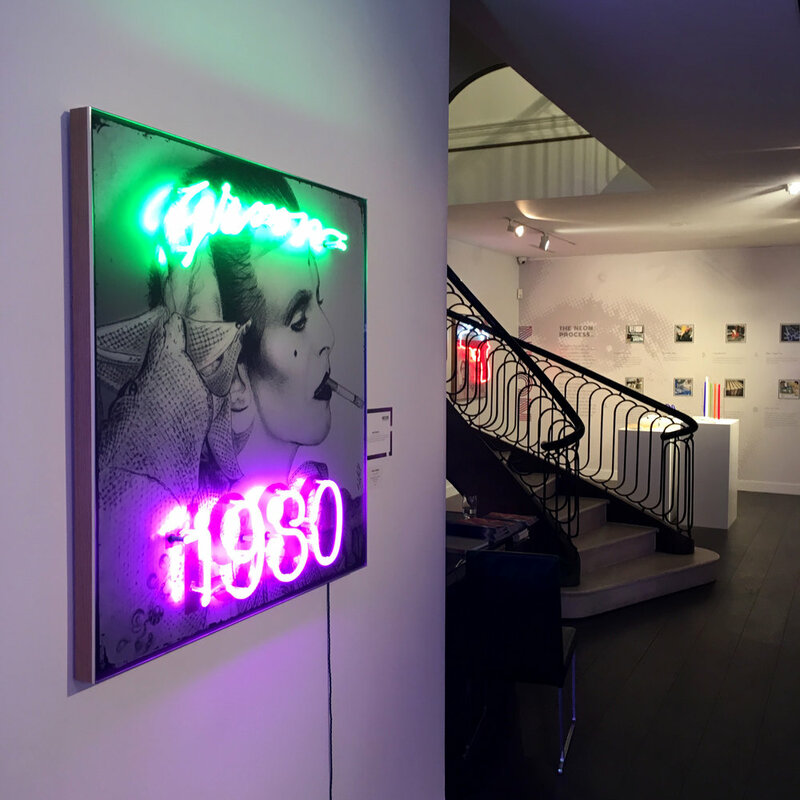 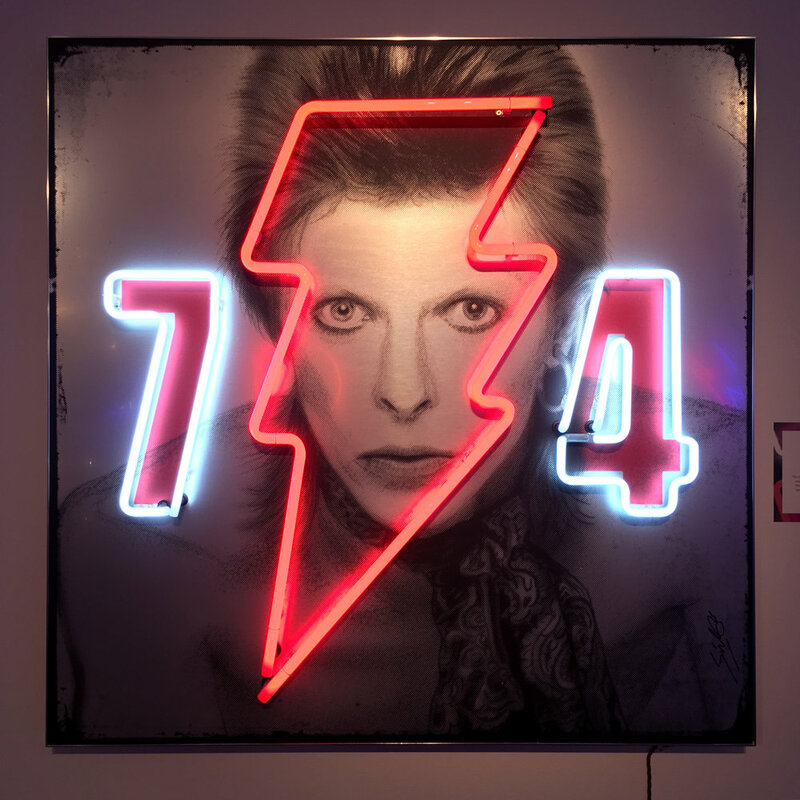 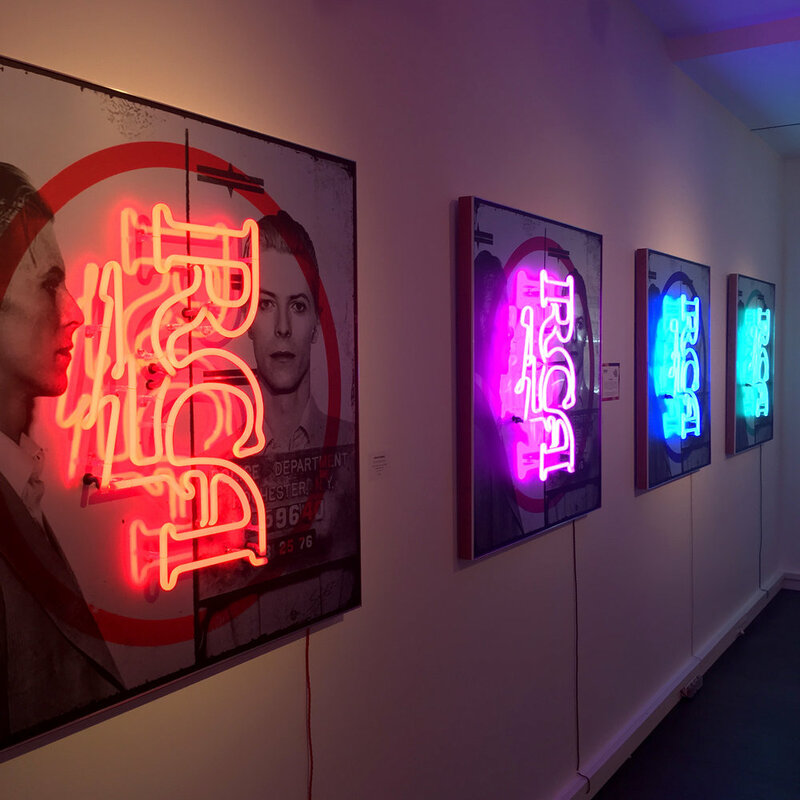 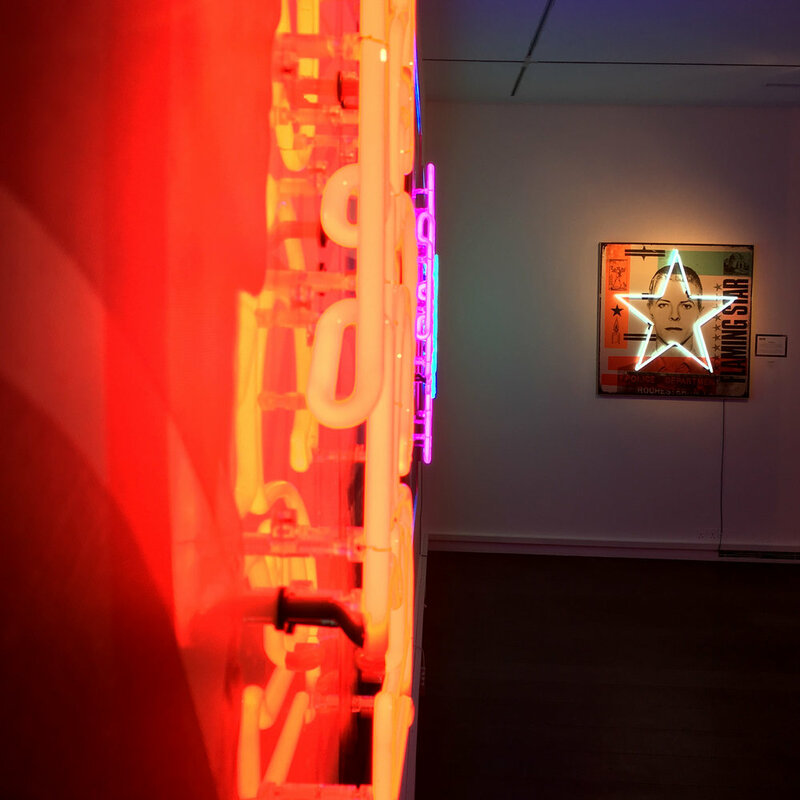 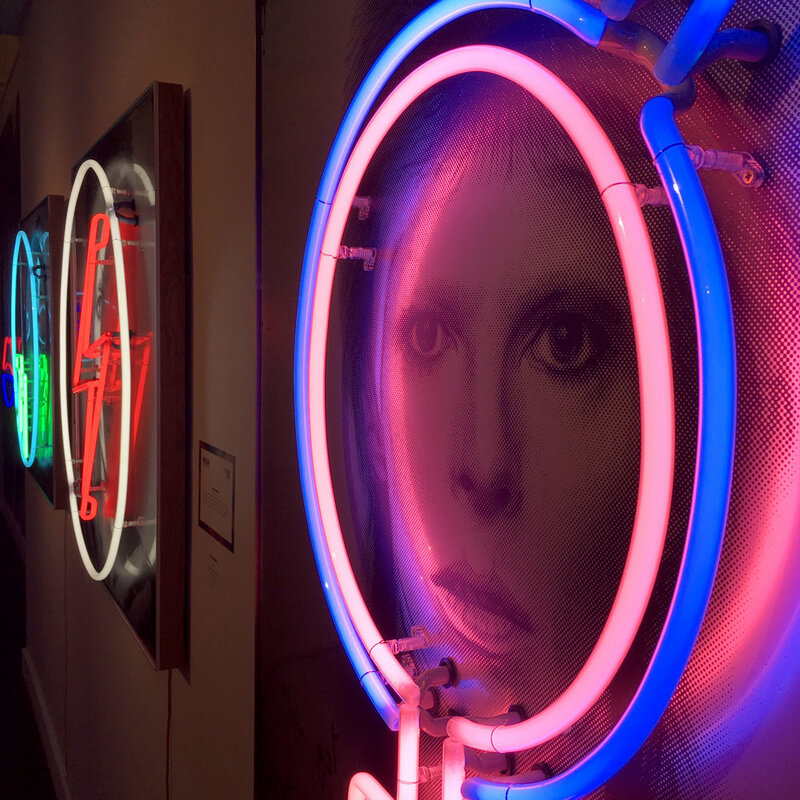 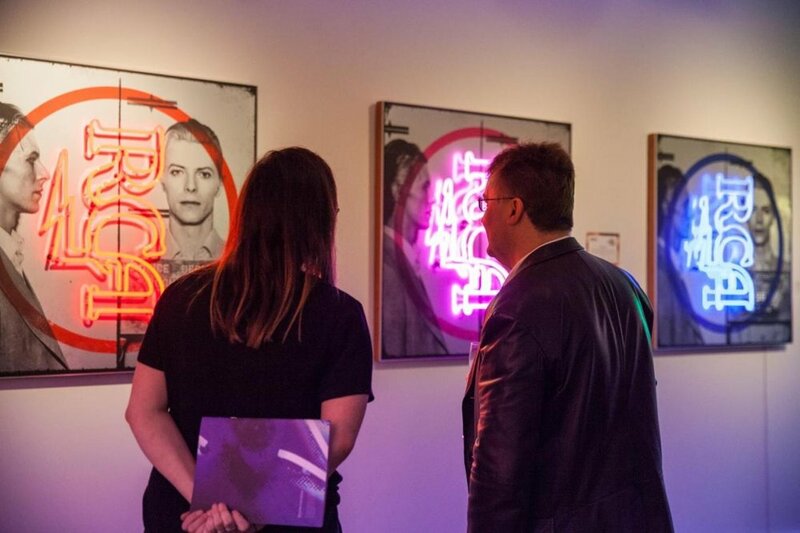 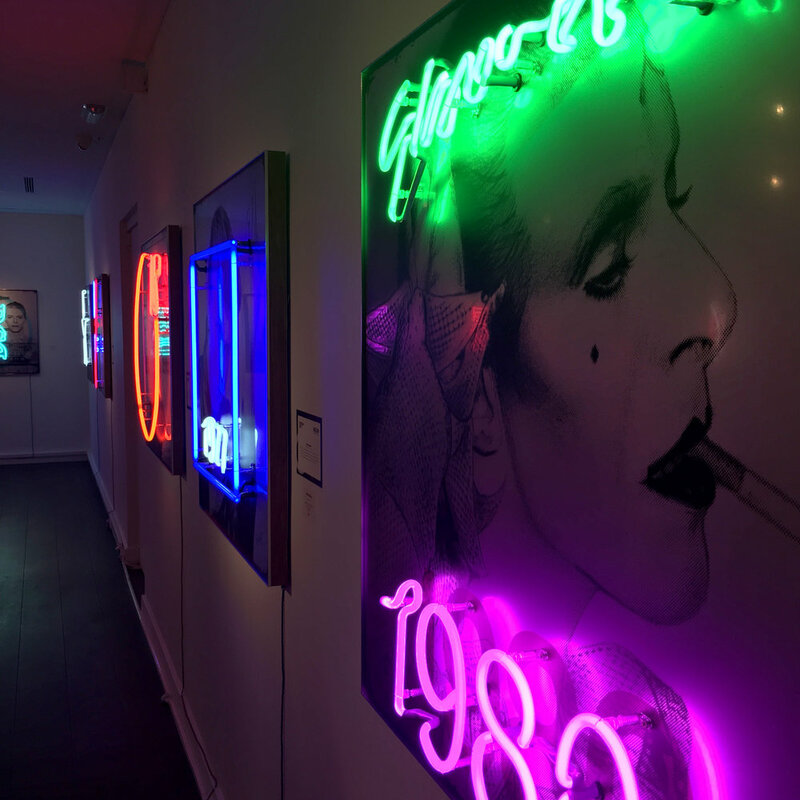 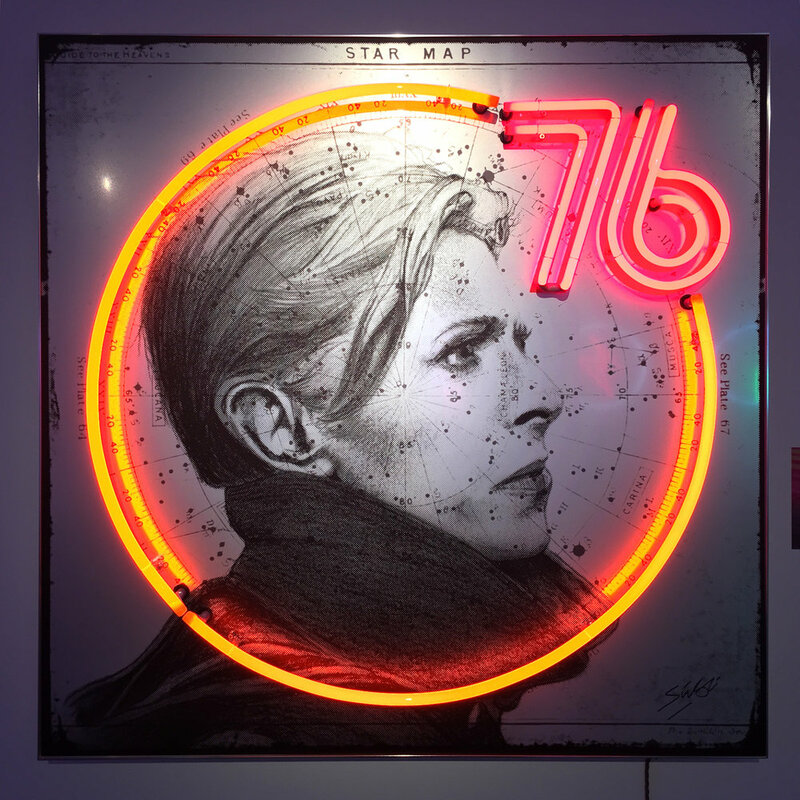 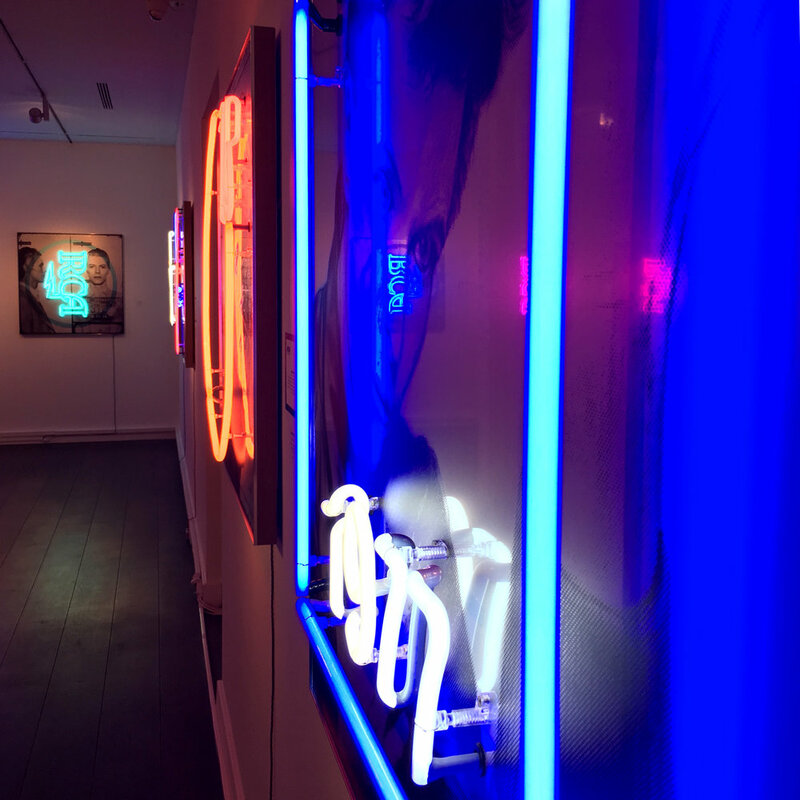 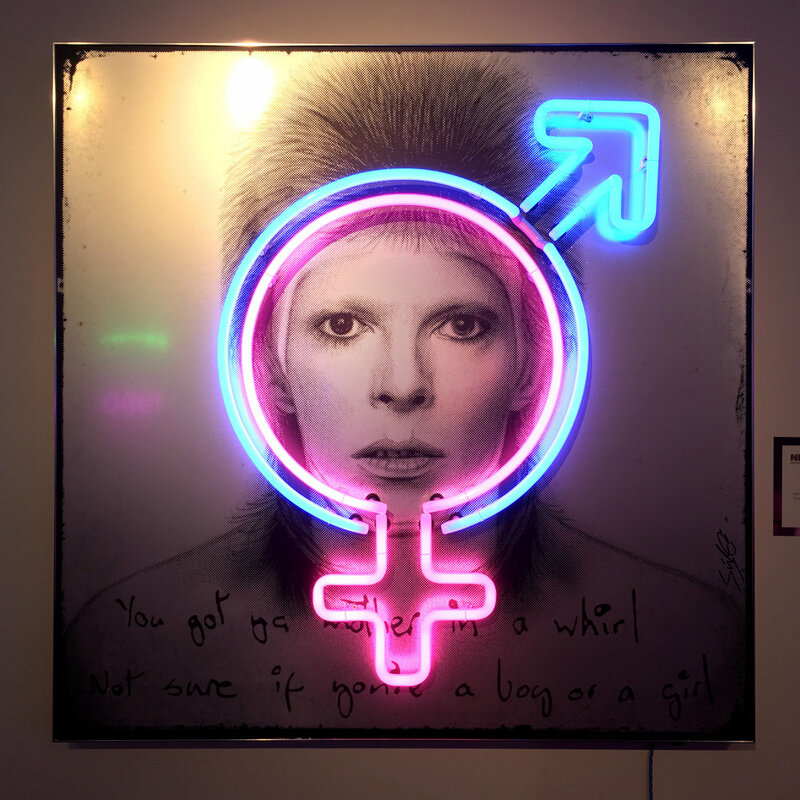 The exhibition featured 17 neon + aluminium artworks, bringing Bowie's iconic moments to life in a very unique way. 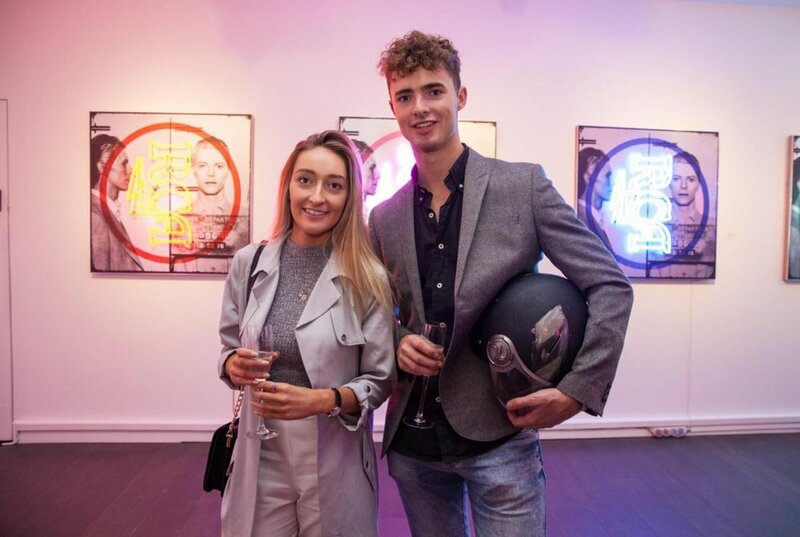 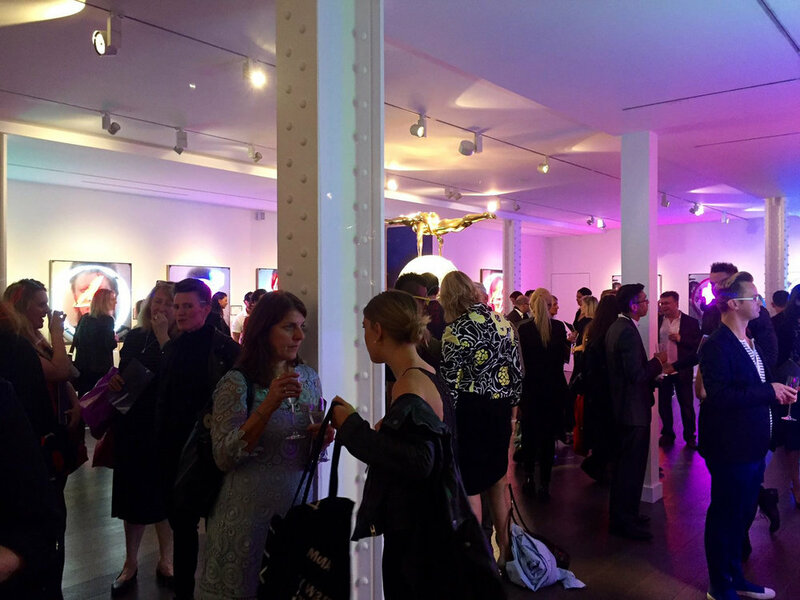 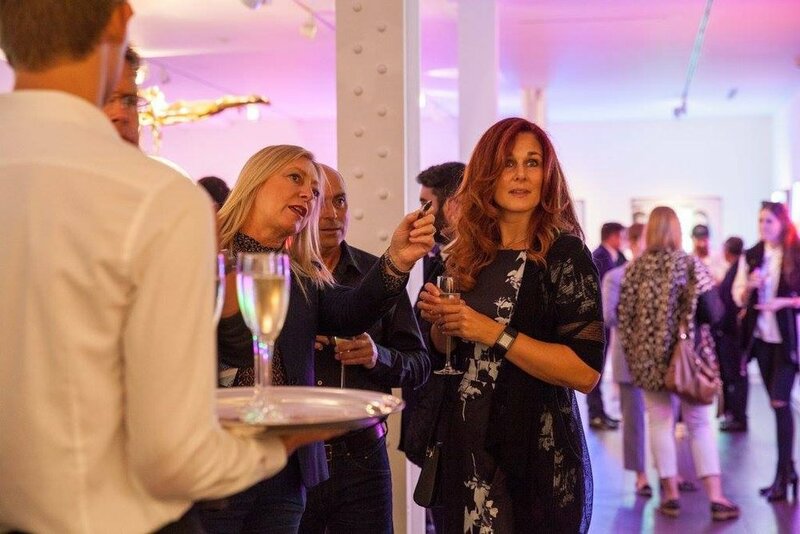 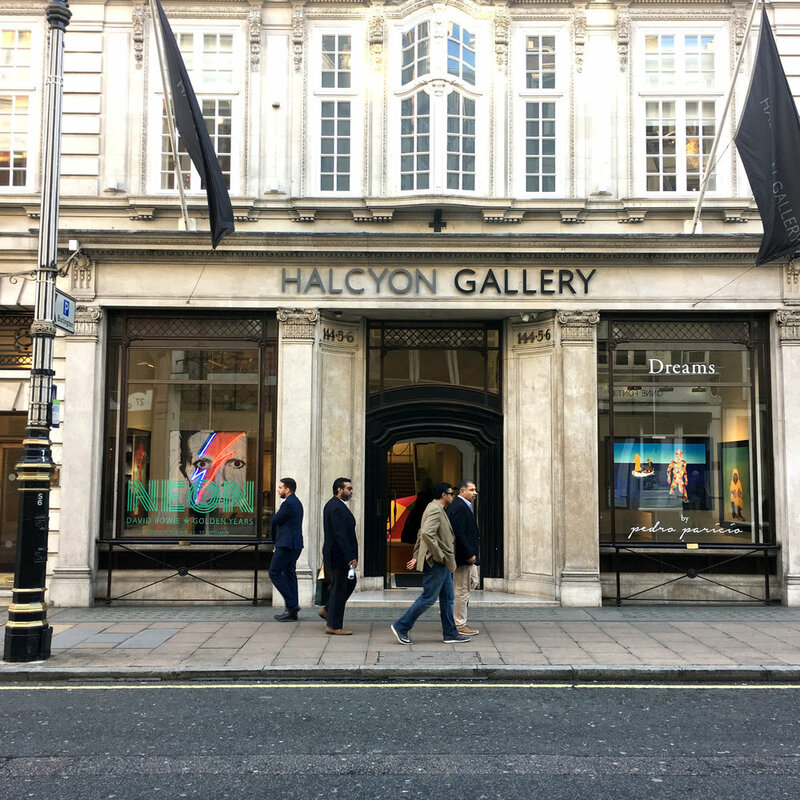 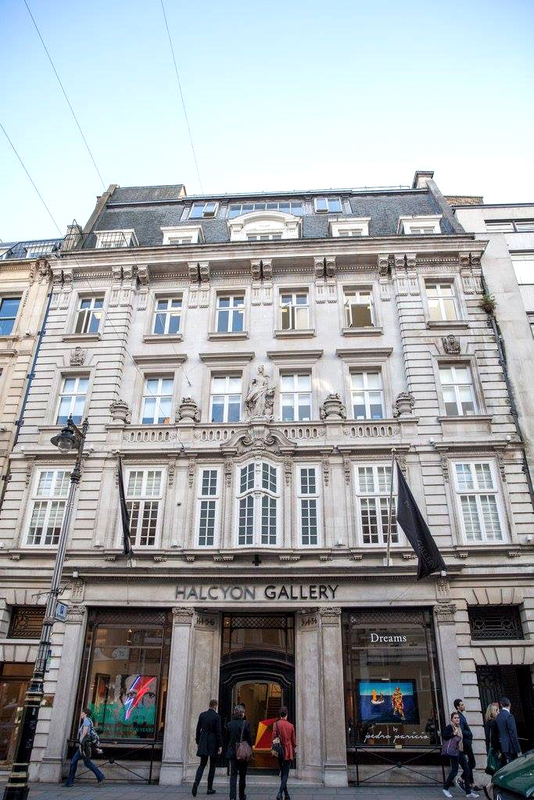 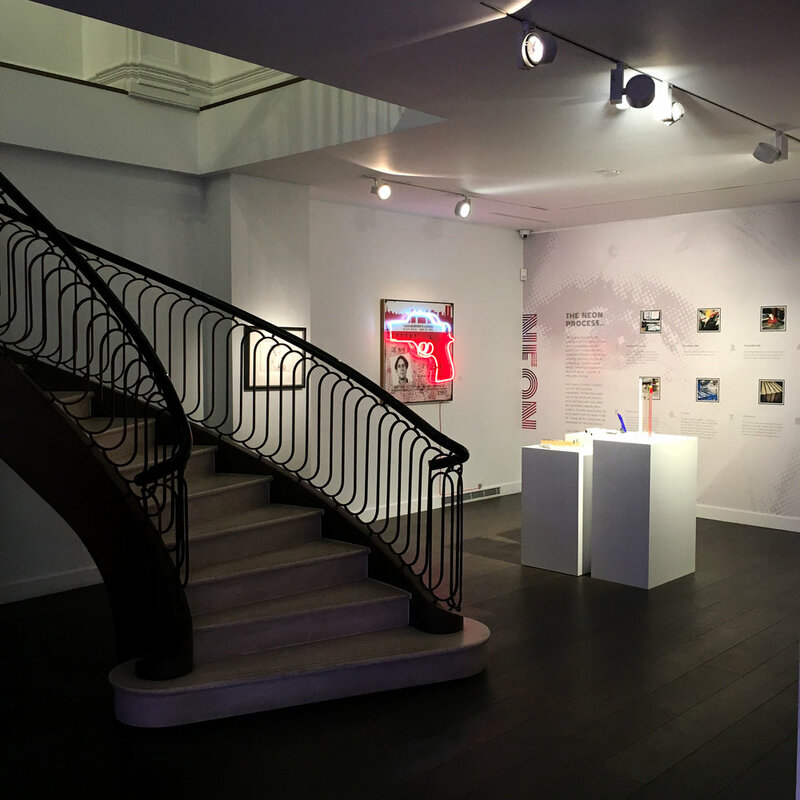 The exhibition attracted international press attention and was open to the public from 22nd - 25th September 2016 at Halcyon Gallery, New Bond Street, London. 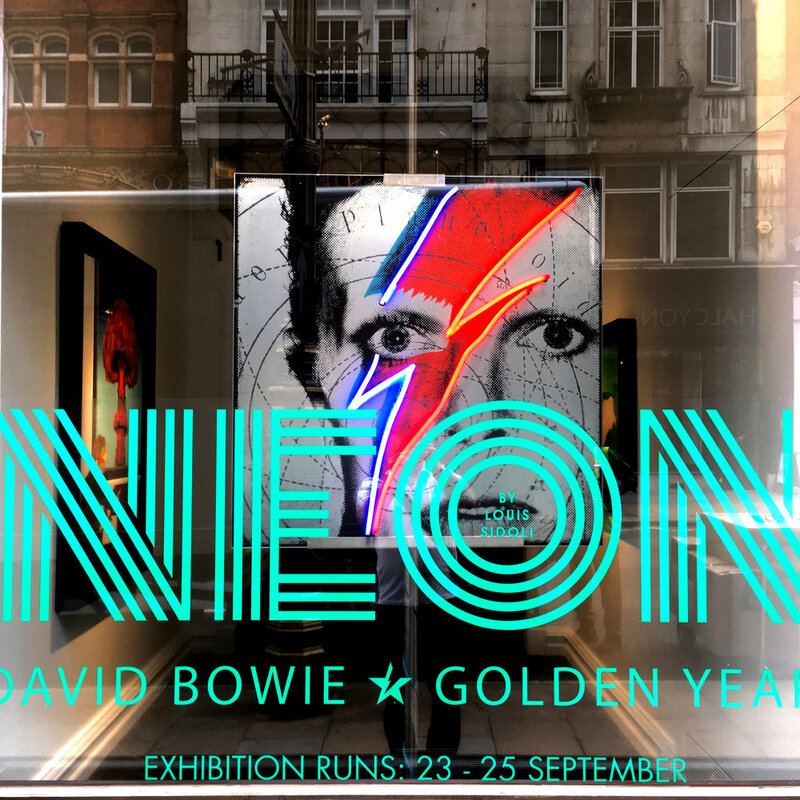 Following the success of the London exhibition, it was also exhibited at Castle Fine Art, Kings Street, Manchester from Thursday 17th November - 27th November 2016.